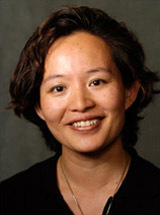 Dr. Chen is employed by Penn Medicine. Schumacher, H.R. Chen, L.X. : Injectable corticosteroids in treatment of arthritis of the knee. Am J Med 118 (11): 1208-14,2005. Nalbant S, Chen, L.X., Sieck MS, Clayburne G, Schumacher HR. : Prophylactic effect of highly selective COX-2 inhibition in acute monosodium urate crystal induced inflammation in the rat subcutaneous air pouch. J Rheumatol. 32 (9): 1762-4,2005. Chen, L.X., Schumacher, H.R. : West meets East in Rheumatology. Current Rheumatology Reports 7 (4): 251-3,2005. Baker, J.F., Krishnan, E., Chen, L.X., Schumacher, H.R. : Serum uric acid and cardiovascular disease: Recent developments and where do they leave us? American J. of Medicine 118 (8): 816-26,2005. Chen, L.X., Schumacher, H.R. Kuna, S. T.: Can Acupuncture Improve Sleep in Fibromyalgia Patients? Arthritis and Rheumatism 52 (9): S 1381,2005. Chen, L.X. : What Shall We Conclude From This Randomized Clinical Trial of Acupuncture? Annals of Internal Medicine 143 (1): on line,2005. Chen, L.X., Goldman, J., Pullman-Mooar, S.: Chapter 30: Local Therapy for Chronic Pain Fibromyalgia and Other Non-Neuropathic Pain Syndromes : 2005. Chen, L.X., Schumacher, H.R. : Infections in Bone and Joints Merck Manual 18th Edition : 2006. Chen, L.X., Misbah Baqir, H. Ralph Schumacher, Jr., Kuna: Increased incidence of sleep apnea in fibromyalgia patients Arthritis and Rheumatism 50 (9): S494,2004. Chen, L.X., Clayburne, G., Schumacher, H.R. : Update on identification of pathogenic Crystals in Joint Fluid. Current Rheumatology Reports 6 : 217-220,2004. Rheumatology 3910 Building, 1st Fl.